With so many unique stories bound together, designing for a collection of shorts presents a fun challenge. 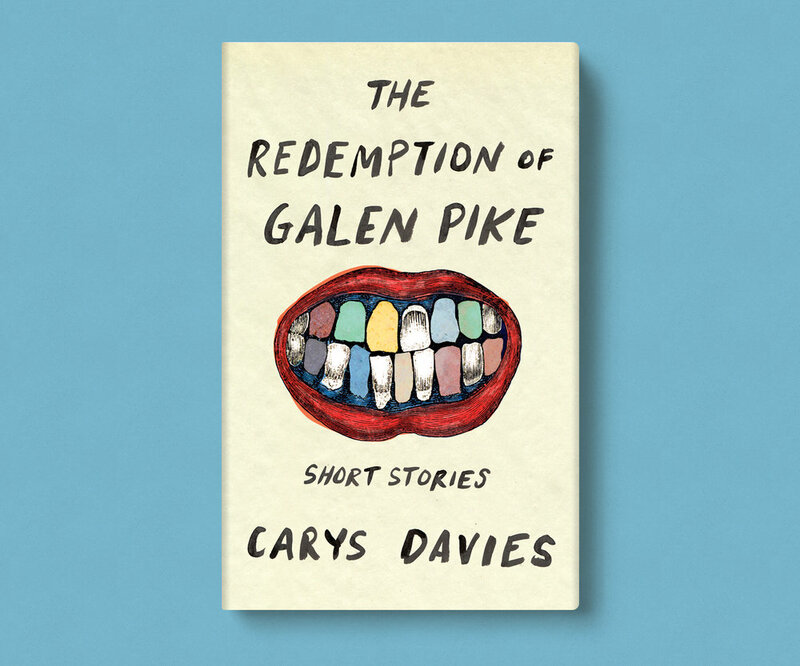 This collection by Carys Davies takes the reader across the globe, from Colorado to Cumbria, and introduces us to a wide array of characters. Should I choose an element from a single story as inspiration? Or create something more general that speaks to the collection as a whole? 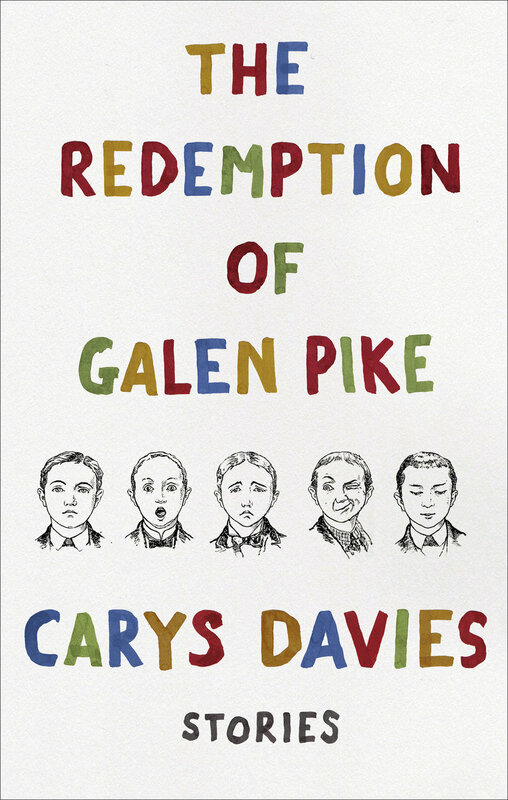 I gave the publisher both kinds of designs yet they quickly agreed upon this cover which was born from the collection’s namesake: The Redemption of Galen Pike. Set in an unknown time of yesteryears, we meet a prisoner in the days leading to his execution. He is filthy, crude, and has committed a crime so gruesome that Davies keeps it from us. She writes: “In the courthouse people had held themselves against the wall, gasping at his dirty black hair and straggly vagabond’s beard, shaking their heads as if they had seen the devil.” Despite Pike's frightening past and appearance, a local woman sits with him every day, reminding herself of “how lonely it would be – how bleak and frightening and uncomfortable – to be shut up in a twelve-foot box far from home without company or kindness… she always found that she was able, with the help of her basket of biscuits, to establish a calm and companionable atmosphere in the grim little room.” By the end of the story (and the end of Pike’s life), the reader is truly touched by her presence, as is the prisoner. Despite dark circumstances, humanity prevails; a theme present throughout Davies’ tales. Designing for Biblioasis presents a unique challenge as well—a confine that I rather enjoy. There is no budget for stock art which means I am “limited to" creating an artwork and/or borrowing from available imagery. In cases like this, I often explore The Commons, Flickr’s endless library of images with expired copyrights. I found this giant smile of ragged teeth and immediately thought of Galen Pike. The mouth image comes from a 1902 textbook titled The Teeth in Health and Disease. I wanted to give a theatrical quality to the grin by embellishing the teeth, which is how they became different colors. The other illustrations I used also came from a page in some forgotten book, now at my disposal via Flickr’s database. Biblioasis is one of my favorite clients to work with because they appreciate hand lettering, so I was sure to give them several different hand-done text options made with paints and brushes. 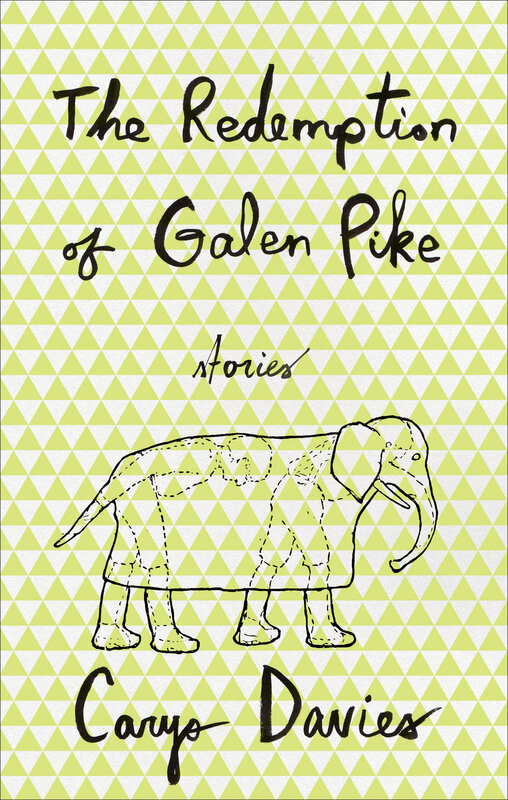 They are also one of my favorite clients because our preferences always seem to align: they selected my favorite design for The Redemption of Galen Pike.